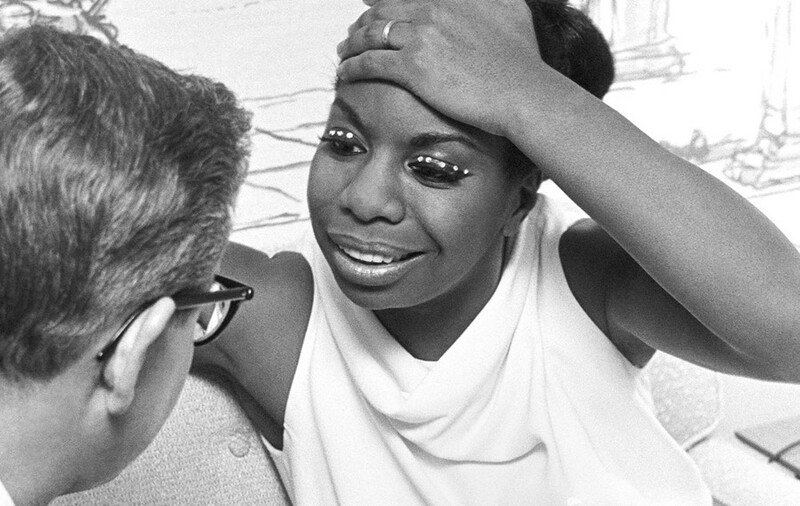 When Nina Simone sat down at the piano, she breathed fire. But the self-described “black-classical” visionary was more than one of 20th century music’s most indomitable talents – she was also a civil rights activist, revolutionary, manic depressive, abused wife and abusive mother, among many other things. In five tumultous years during the 1960s, the woman born Eunice Kathleen Waymon in Tyron, North Carolina, 1933, went from calling out America on its systemic racism on “Mississippi Goddam” to asking an audience in Harlem if they were “ready to kill” in order to establish a new black state. Her militant stance wound up costing her a career; and yet, her songs ran the full gamut of human emotion, from pain and sorrow to joy, tenderness and regret as well as seething anger. With Simone's only child Lisa Celeste Stroud as executive producer, filmmaker Liz Garbus set out to investigate the demons that drove Simone to take on the establishment at immense personal cost – here, we present a few of the more startling facts about her life, with insights from Stroud and Garbus. Simone's talent as a pianist revealed itself at an early age, and she performed regularly at church revival meetings as a child. She gave her first classical piano recital at the age of 12, but was unimpressed when her parents were made to sit at the back of the hall to accommodate the white people. Standing her ground, Simone refused to play unless they were brought to the front. Strange to say it, but Simone's entire career as a popular singer hinged on an instance of racial discrimination. Throughout childhood, she dreamed of becoming a classical musician, but those ambitions were dealt a hammer blow when she was turned down for a spot at the prestigious Curtis Institute in Philadelphia, an injustice that would stay with her throughout her career. “Can you imagine putting in five hours of practicing every day for five to seven years and you get to your audition and they reject you and it’s not because you weren’t good enough but because of how you look?” says Stroud. The Curtis Institute awarded Simone an honorary degree two days before her death in 2003. “Artists now can flip off the police or tell an audience to get the f... out or whatever,” says Garbus. “But for a dark-skinned African-American woman to be doing it at the time... it was revolutionary. Which made a lot of people very uncomfortable, of course.” Simone's embrace of the civil rights movement would harden over the course of the 60s into a militant black separatism that saw her declare American society as “nothing but a cancer”. “Mississippi Goddam”, an outraged response to the murder of Medgar Evers and the Alabama church bombing that killed four children in 1963, was a watershed moment in the history of black protest music, released before Sam Cooke, Marvin Gaye, Curtis Mayfield, James Bown or Stevie Wonder committed their own political statements to record.